In October we posted a short, straightforward conversation with Shane Lavalette about Lay Flat, the independent publisher of limited edition photography books and multiples that he founded in 2009. The questions from the conversation with Lavalette have been adapted and given to 11 more publishers and editors that represent a variety of sizes, orientations, and audiences in the photography publication market - both on and offline. 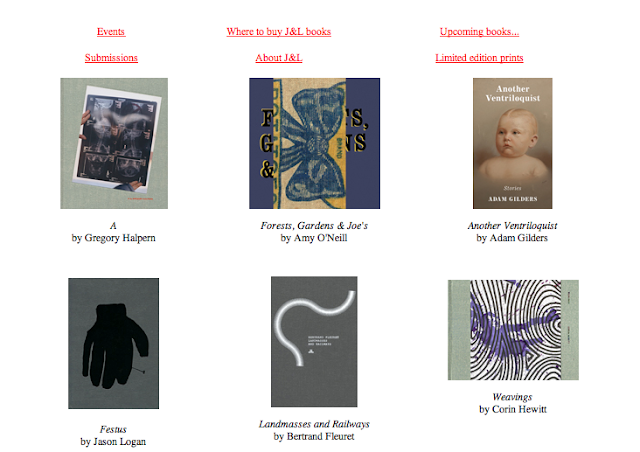 As a whole, the 12 posts aim to provide a snapshot of the current publishing landscape. Today's post is the eighth in the series and features responses from Jason Fulford of J&L Books. Previously published are responses from Lavalette, Michael Itkoff of Daylight Magazine, Ray Potes of Hamburger Eyes Photo Magazine, Jeffrey Ladd of Errata Editions, Barry W. Hughes of SuperMassiveBlackHole, Bryan Formhals of LPV Magazine and Lee Grant and Tom Williams of Timemachine Magazine. fototazo: What is the backstory on how J&L formed? Jason Fulford: Leanne Shapton (the L of J&L) and I met in the early 90s at Pratt Institute in Brooklyn, New York. In 1998 or so I was hitchhiking around the American southwest and bumped into Jack Woody of Twin Palms. I showed him some pictures, we talked about books and he suggested I publish the work myself. He helped me find a printer, and I made my first book, Sunbird. I showed the book to Leanne, and we decided to start publishing the work of artists we knew. One book led to another, and now we have a catalog. f: What is particular or unique about the books J&L publishes? What separates it from other publishers? JF: I think that publishers are defined by their sensibilities. Leanne and I champion artists and authors who are genuine, unpretentious and have a unique and strong voice. I know that sounds vague, but we don't really have any other guiding principles. We are open and curious, and look for work that resonates. f: What is your process for deciding what to publish from the submissions received? JF: Very informal and intuitive. Since we are all volunteers—and it’' a considerable amount of work to edit, design, fundraise, print and distribute a book—we have to fully believe in a project to take it on. f: How do you view the contemporary landscape of photography books as a product and as a market in relation to its history? JF: Honestly, I don't think about it in these terms. We make books that we want to see on our own bookshelves. Then we quietly release them into the world. Eventually they find their audiences. f: How has the book as a product evolved in relation to market conditions to reach where we are today? JF: Again, we don't really think on these terms. Our books break even at best, so it is a labor of love. JF: The best part is working with artists and authors we admire. As an editor, you have to try to get inside the head of the author and understand the way they think. It's like taking an intensive course on their work. This has given me insight into different ways of looking at the world. f: How has working in the publishing business influenced your personal work and your aspirations in photography? JF: It's like a braid. Various lines that alternately overlap and move away from each other. Each role (photographer, editor, designer, publisher) practices different skills and ways of thinking. I take lessons from one, and apply them to another. And hopefully they all grow stronger together. f: What is next for J&L? JF: Our latest book off the press is a 592-page biography of Martin Kippenberger. It was written by his sister, Susanne Kippenberger, and first published in Germany in 2007. We hired Damion Searls to translate the book, and it will be the first English biography of the German artist. In the spring we will release #3 of our series J&L Illustrated. Paul Maliszewski has edited the volume, and presents short stories by 13 authors, including William H. Gass, Stephen Dixon, Elisabeth Miller and Xiaoda Xiao. French artist Shoboshobo has provided the artwork.